James LEE, Jr., vice-president of the First National Bank, and of the Taxing District of Memphis, came to this city in 1858, and located here permanently in 1860. He practiced law with Valentine & Lee; Chambers, Lee & Warinner, and Lee & Warinner, but gave up the law in 1877, to manage the Lee line of steamers, of which line he is president and principal owner. 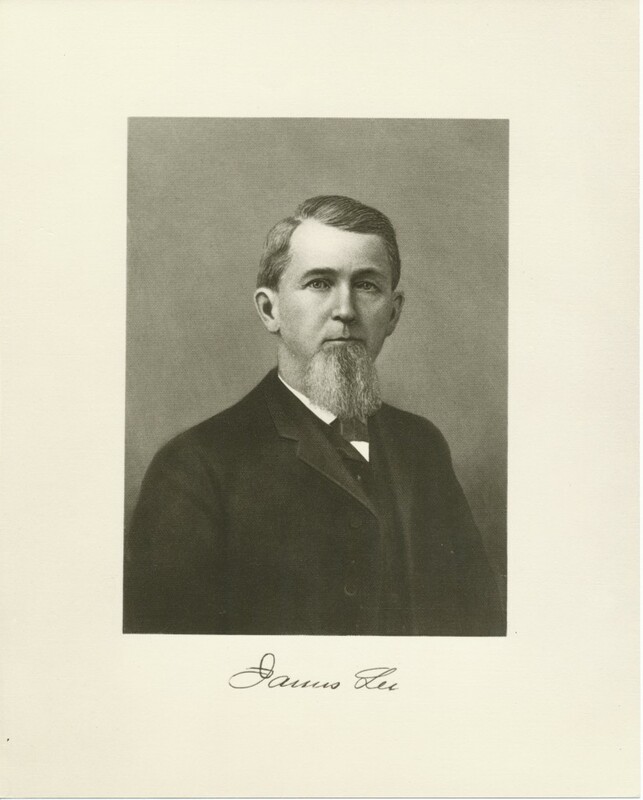 Mr. Lee was born in Stewart County, Tenn., March 8, 1832, and graduated at Princeton, N.J., in 1853, and then practiced law at Dover, Stewart County, until his interests drew him to Memphis. His father, James Lee, was a native of Sumner County, but moved to Stewart County, and there married Miss Peninah Lucinda Gibson, who died in 1853. The father, an old retired boatman, is yet living in this city. In 1858 our subject married Miss Rowena Rayliss, a native of Montgomery County, Tenn., and by her has a family of ten children. The family are members of the Cumberland Presbyterian Church. Is this the James Lee that the steamboat James Lee was named after?